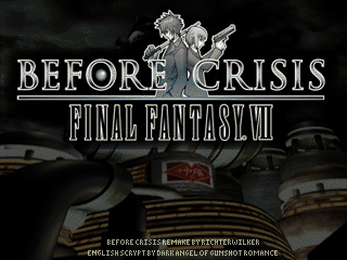 Before Crisis tells the story of the Investigation Sector of The General Affairs Department, also simply known as Turks, a organization working for the Shinra Electric Power Company, a famous name in the world of Final Fantasy 7. Before Crisis starts seven years before the events of FF7, and you get to see the daily life of the turks, making missions for the company, fighting against the first group of mercenaries known as AVALANCHE, who are trying to protect the planet from ShinRA, who is little by little destroying it, taking the mako energy from the earth (That in this case, is the planet Gaia). You basically play as the villain, seeing their perspectives of what they do, even though it may look wrong for everyone else. 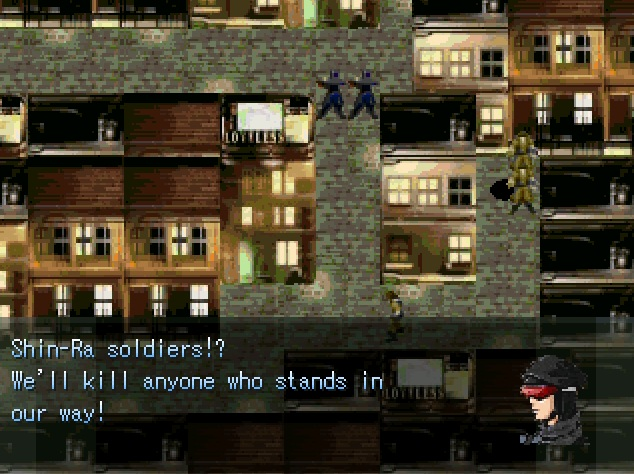 Famous characters of the FF7 universe are present, as Reno, Rude, and Tseng. But you play as Shotgun, a rookie starting your first day working for the turks, and you see her journey in those seven years, meeting all the new turks, looking for a reason to keep fighting, and witnessing events that will lead to the beginning of FF7. *This is a remake of the game Before Crisis released only in Japan.